Ghouls ‘n Ghosts and Super Ghouls ‘n Ghosts are pretty similar games. Most people would probably think they’re interchangeable, but they have enough different content to both warrant a purchase for fans of the series. Nintendo was straddling the line between offering consumers more choices and ripping us off when they offered Street Fighter 2 closely followed by Street Fighter 2 Turbo. They aren’t exactly the same game but who on earth would want the original SF2 instead of one of the superior variants? It seems like a clear move to cash in on people’s urge to buy the original then realize they made a mistake and buy Turbo. It gets worse. Dynastic Hero is Wonderboy in Monster World. 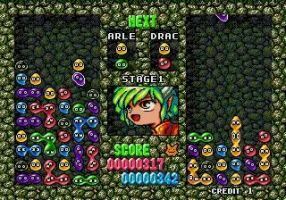 Kirby’s Avalanche is Dr. Robotnics Mean Bean Machine (which is Puyo Puyo). Yet all four of these games are available on the Virtual Console. Each pair has some pallet swaps but are fundamentally the same. Street Fighter is a huge series and fans know all the ins and outs. It’s possible offering multiple versions of a hit game like SF2 makes sense. The same cannot be said about the Wonderboy and Puyo Puyo series. 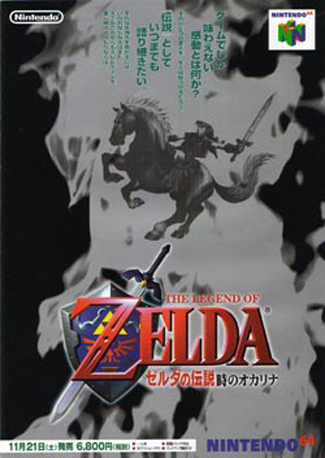 Very few people know about these games in detail and so Nintendo selling copies of these titles comes across as deceptive. If they insist on offering variants of the same game they need to at least label them as such. Explain to consumers not versed in obscure Master System game series or pallet swapped Japanese puzzle games that they may in fact be wasting their money repurchasing something they already own. Yes, caveat emptor and all that, but Nintendo is still trying to rip us off.